Staring at the sun can cause a condition called solar retinopathy, which leads to a decrease or a distortion of a person's central vision. Staring at the sun can could lead to distortion of a person's central vision. It was a clear day when Louis Tomososki's science teacher mentioned that a partial solar eclipse would be visible from their hometown of Portland, Ore., that afternoon. So after classes let out, Tomososki, then 16, found Roger Duvall, his friend since the fourth grade and a fellow science buff. The pair ambled up the steps to their high school's baseball field and planted themselves about 10 feet behind third base. They stood and waited, squinting toward the sky. Sure enough, the teenagers eventually spotted what they had been looking for: a partial eclipse of the sun. "And yeah, there it is! You could see the moon taking a bite out of the sun," Tomososki remembered thinking then. That was more than 50 years ago. Both men, now 70, say they wish they had known about the long-term harm that afternoon would do to their eyesight. "We didn't know right that second that we damaged our eyes," Duvall said in a phone interview Sunday. "At that time, we thought we were invincible, as most teenagers do." Both estimate they had glanced up for about 20 seconds or so - each using a different eye. Immediately afterward, Tomososki's right eye and Duvall's left eye bothered them slightly. "We had looked down at the ground and you're still looking at part of the eclipse like it's imprinted in your eye," Duvall said. It was only through separate eye exams later that both men learned they had permanently damaged their retinas. For Tomososki, his "good eye" compensates for his "bad" one when both are open. When his left eye is closed, however, he sees a "scrambled, whitish spot" through his right eye. "Have you ever seen a news story where they don't want the license plate seen at home? That's the exact same color of everything, except mine's the size of a pea," he said. "And that was 20 seconds worth of burning. If we had looked longer - or the worst thing, if you switch eyes looking at the sun - then you're in real trouble." Through the decades, some of the exact details from that day have faded: For instance, Tomososki remembers few people, if anybody else, had been standing on the baseball field with them that afternoon, while Duvall recalls that several others also had been out trying to catch a glimpse of the eclipse. Both men remember that the eclipse took place after school in 1963, when they were high school juniors, but the eclipse that year occurred on July 20, a Saturday. In some news reports about Tomososki and Duvall's experience, the year is pinned as 1962; that year, a solar eclipse took place on Feb. 5, a Monday. Regardless, what hasn't faded has been the urgency with which both men want to warn others about the dangers of improperly viewing eclipses. With parts of Oregon in the path of totality for Monday's highly anticipated solar eclipse, Tomososki said he contacted a local television station and cautioned viewers not to stare directly at the sun for any amount of time. He's particularly worried about people buying phony eclipse glasses that don't offer sufficient protection, or children who look up at the completely covered sun during totality - but don't put their eclipse glasses back on in time after the moon moves off it. "My question Tuesday morning, when this thing's all over, is are people going to be calling me and saying 'Lou, did you hear how many people damaged their eyes?' And my stomach's just rolling over. I don't want to hear that," he said. "If I can save one person from having a catastrophic thing happening with their eyes, it's a good thing." 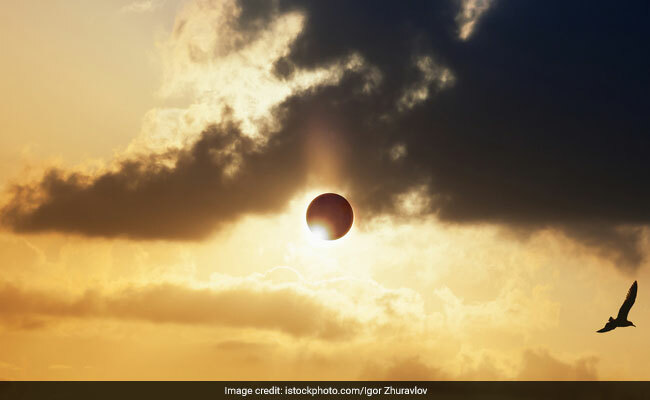 Staring at the sun can cause a condition called solar retinopathy, which leads to a decrease or a distortion of a person's central vision, said Sveta Kavali, an ophthalmologist and retina specialist at Saint Louis University. "That damage is typically irreversible, and there's no treatment for this," Kavali said in a Saint Louis University video about viewing the eclipse safely. "The way the damage occurs on a cellular basis is that the UV rays from the sun induces a photochemical reaction that damages the photo receptors of the retina, and the part of the retina that's damaged is the part that's responsible for your central vision. So it's very important not to look at the partial eclipse, not to look at the sun, without the proper viewing protection." Both Tomososki and Duvall plan to watch the eclipse Monday, although neither has a desire anymore to look straight toward the sun. Tomososki will drive to the nearby town of Colton, Ore., where about 37 seconds of darkness are anticipated during totality. "I'm going with my wife and I'm going to stand outside and look at the trees and the fields," he said. "I'm going to watch it get dark. I'm not looking up at the sky."